Each of the fun maps below is available in your choice of 30 styles and four different sizes. These maps are in either JPEG or GIF format, with many of the styles supplemented with the PNG format. The PNG images have a transparent background, so you may display another color or texture behind it. You can use them in your presentations, reports, and Web pages. There is also a link to a high-resolution TIFF version of the map if you need to print a very large, high-quality image. For any project such as a presentation or a web page that will be displayed on a computer, you should use the JPEG versions displayed above, not the TIFF version. For assistance deciding which file format to use or with using PNG files, see our PNG Help page. For additional assistance, see Help Using & Editing TIFF Maps or General Maps Help. Click on a thumbnail image to see all of the style options for your selected map. Florida. "Fun" style map in your choice of 30 styles and four sizes. Alachua. "Fun" style map in your choice of 30 styles and four sizes. Baker. "Fun" style map in your choice of 30 styles and four sizes. Bay. "Fun" style map in your choice of 30 styles and four sizes. Bradford. "Fun" style map in your choice of 30 styles and four sizes. Brevard. "Fun" style map in your choice of 30 styles and four sizes. Broward. "Fun" style map in your choice of 30 styles and four sizes. Calhoun. "Fun" style map in your choice of 30 styles and four sizes. Charlotte. "Fun" style map in your choice of 30 styles and four sizes. Citrus. "Fun" style map in your choice of 30 styles and four sizes. Clay. "Fun" style map in your choice of 30 styles and four sizes. Collier. "Fun" style map in your choice of 30 styles and four sizes. Columbia. "Fun" style map in your choice of 30 styles and four sizes. DeSoto. "Fun" style map in your choice of 30 styles and four sizes. Dixie. "Fun" style map in your choice of 30 styles and four sizes. Duval. "Fun" style map in your choice of 30 styles and four sizes. Escambia. "Fun" style map in your choice of 30 styles and four sizes. Flagler. "Fun" style map in your choice of 30 styles and four sizes. Franklin. "Fun" style map in your choice of 30 styles and four sizes. Gadsden. "Fun" style map in your choice of 30 styles and four sizes. Gilchrist. "Fun" style map in your choice of 30 styles and four sizes. Glades. "Fun" style map in your choice of 30 styles and four sizes. Gulf. "Fun" style map in your choice of 30 styles and four sizes. Hamilton. "Fun" style map in your choice of 30 styles and four sizes. Hardee. "Fun" style map in your choice of 30 styles and four sizes. Hendry. "Fun" style map in your choice of 30 styles and four sizes. Hernando. "Fun" style map in your choice of 30 styles and four sizes. Highlands. "Fun" style map in your choice of 30 styles and four sizes. Hillsborough. "Fun" style map in your choice of 30 styles and four sizes. Holmes. "Fun" style map in your choice of 30 styles and four sizes. Indian River. "Fun" style map in your choice of 30 styles and four sizes. Jackson. "Fun" style map in your choice of 30 styles and four sizes. Jefferson. "Fun" style map in your choice of 30 styles and four sizes. Lafayette. "Fun" style map in your choice of 30 styles and four sizes. Lake. "Fun" style map in your choice of 30 styles and four sizes. Lee. "Fun" style map in your choice of 30 styles and four sizes. Leon. "Fun" style map in your choice of 30 styles and four sizes. Levy. "Fun" style map in your choice of 30 styles and four sizes. Liberty. "Fun" style map in your choice of 30 styles and four sizes. Madison. "Fun" style map in your choice of 30 styles and four sizes. Manatee. "Fun" style map in your choice of 30 styles and four sizes. Marion. "Fun" style map in your choice of 30 styles and four sizes. Martin. "Fun" style map in your choice of 30 styles and four sizes. Miami-Dade. "Fun" style map in your choice of 30 styles and four sizes. Monroe. "Fun" style map in your choice of 30 styles and four sizes. Nassau. "Fun" style map in your choice of 30 styles and four sizes. Okaloosa. "Fun" style map in your choice of 30 styles and four sizes. Okeechobee. "Fun" style map in your choice of 30 styles and four sizes. Orange. "Fun" style map in your choice of 30 styles and four sizes. Osceola. "Fun" style map in your choice of 30 styles and four sizes. Palm Beach. "Fun" style map in your choice of 30 styles and four sizes. Pasco. "Fun" style map in your choice of 30 styles and four sizes. Pinellas. "Fun" style map in your choice of 30 styles and four sizes. Polk. "Fun" style map in your choice of 30 styles and four sizes. Putnam. "Fun" style map in your choice of 30 styles and four sizes. St. Johns. "Fun" style map in your choice of 30 styles and four sizes. St. Lucie. "Fun" style map in your choice of 30 styles and four sizes. Santa Rosa. "Fun" style map in your choice of 30 styles and four sizes. Sarasota. "Fun" style map in your choice of 30 styles and four sizes. Seminole. "Fun" style map in your choice of 30 styles and four sizes. Sumter. "Fun" style map in your choice of 30 styles and four sizes. Suwannee. "Fun" style map in your choice of 30 styles and four sizes. Taylor. "Fun" style map in your choice of 30 styles and four sizes. Union. "Fun" style map in your choice of 30 styles and four sizes. 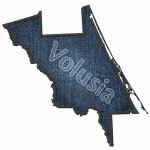 Volusia. "Fun" style map in your choice of 30 styles and four sizes. Wakulla. "Fun" style map in your choice of 30 styles and four sizes. Walton. "Fun" style map in your choice of 30 styles and four sizes. Washington. "Fun" style map in your choice of 30 styles and four sizes.